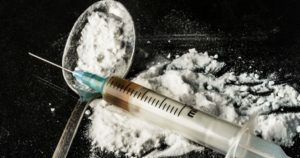 The number of heroin-related deaths in England and Wales has doubled since 2012, from 579 to 1,201, according to the latest ONS figures. Last year saw the highest number of drug-related fatalities ever recorded with 3,674 poisoning deaths, of which 2,479 exclusively involved illegal drugs. Scotland also recorded its highest drug death toll in 2015, at 706 (DDN, September, page 4). Although the government is keen to stress that the figures come against a background of falling rates of overall drug use, deaths involving cocaine also reached an all time high at 320 – up from 247 the previous year. Deaths involving amphetamine also reached their highest-ever level, and those involving ecstasy the highest in more than a decade. Overall most drug deaths were again among the over-30s, with the North East of England the region recording the highest number of deaths for the third year running, and males almost three times more likely to die than females. Although, as in Scotland, the number of deaths involving NPS remained relatively small, the substances could ‘present a more significant problem in the future, especially as not enough is known about the long term effects of their use’, stressed Public Health England (PHE). An independent expert group convened by PHE and the Local Government Association (LGA) has published a list of recommendations to try to address the rising death rate, including improving access to treatment – especially for ‘harder to reach’ populations through outreach work and needle and syringe programmes – and coordinating a ‘whole-system approach’ that includes mental health, housing and employment support. ‘Drug use is the fourth most common cause of death for those aged 15 to 49 in England and we know that the majority of those dying from opiates have either never, or not recently, been in treatment,’ said PHE’s director of drugs, alcohol and tobacco, Rosanna O’Connor. ‘Reassuringly, overall drug use has declined and treatment services have helped many people to recover but there is a need for an enhanced effort to ensure the most vulnerable can access treatment.